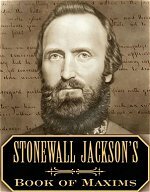 "You may be whatever you resolve to be"
Thomas Jonathan "Stonewall" Jackson died in an outbuilding on the Chandler plantation in the rural community of Guniea Station. 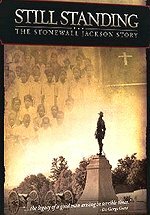 Today, the Jackson Shrine is part of Fredericksburg & Spotsylvania National Military Park. Born in what is now the state of West Virginia, in the town of Clarksburg, Thomas Jonathan Jackson possessed a strong military background at the outbreak of the Civil War. 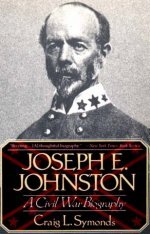 His training in the U.S. Military Academy at West Point, recognition as a hero in the Mexican War, and his experience as an instructor at the Virginia Military Institute justified Jackson's rank of brigadier general at the first major battle of the Civil War near Manassas, Virginia. 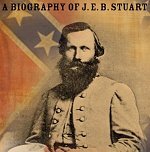 Upon that field, General Bernard E. Bee proclaimed, "There is Jackson standing like a stone wall," and a legend as well as a nickname was born. 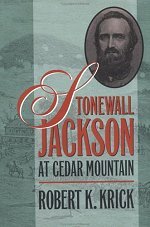 Jackson's military feats had elevated him to near mythical proportions, in both North and South, when in the midst of one of his most brilliant maneuvers, he was mistakenly shot by his own men on the night of May 2, 1863 at the The Battle of Chancellorsville. 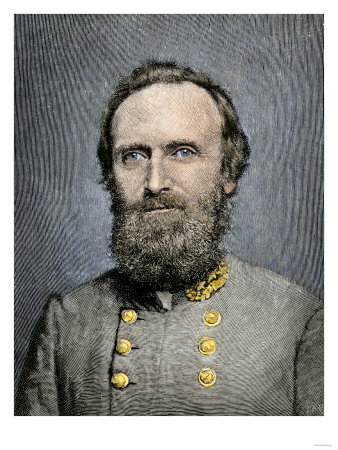 Confederate army commander Robert E. Lee decided that his indispensable and most capable subordinate should recuperate in a safe place well behind friendly lines. He selected this area, Guinea Station, as the best location for Jackson because of its proximity to the railroad to Richmond and its familiarity to the wounded general. The "Stonewall" Jackson Shrine is the plantation office building where General Jackson died. The office was one of several outbuildings on Thomas C. Chandler's 740-acre plantation named "Fairfield." This typical frame structure saw use primarily by the men for recreation as well as for work. Chandler kept records in the office and one of his sons once practiced medicine there, but with three of the Chandler boys away serving in the Confederate Army, the building no longer witnessed its ante-bellum level of activity. The office stood bare, except for a few items in storage, when Jackson's ambulance arrived. Although offered the use of the Chandler house, Jackson's doctor and staff officers chose the quiet and private outbuilding as the best place for Jackson to rest after his long ambulance ride. I all went well, the general would soon board a train at Guinea Station and resume his trip to Richmond and the medical expertise available there. Today, the office is the only plantation structure remaining. The Chandler house burned at some point after the Civil War, and its shell was dismantled in the early 1900's. Once established as an historic "shrine," the office underwent restorations in the 1920's and the 1960's, and still retains about 45% original fabric. The National Park Service has augmented some of the items used during Jackson's stay with other pieces from the era, along with a few reproductions, to recreate the scene of those tragic last days of his life. Thomas Jonathan Jackson was born at Clarksburg, [West] Virginia. Parents: Jonathan Jackson (1790-1826) an attorney, and Julia Beckwith Neale (1798-1831). They were married in September 1817 and had four children: Elizabeth (1819-1826); Warren (1821-1841); Thomas (1824-1863), and Laura Ann (1826-1911). Jackson's sister Elizabeth (age 6) and his father died of typhoid fever. Julia Jackson gave birth to Laura the day after her husband died. Widowed at age 28, Julia was left with extensive debts and the family was impoverished. Julia Jackson remarried. Her new husband, Blake Woodson, disliked his stepchildren and the family had financial difficulties. A short time after the marriage, Thomas and Laura were sent to live with Jackson relatives in Jackson's Mill [West] Virginia; Warren was sent to Neale relatives. Julia Jackson died, as a result of childbirth complications, on Dec. 4, 1831. She left behind the three Jackson siblings and a newborn son (Thomas's half brother), William Wirt Woodson (1831-1875). Jackson and Laura spent the remaining years of childhood with their paternal uncles. Jackson's brother, Warren, died of tuberculosis in 1841. Jackson attended the United States Military Academy at West Point. Jackson was not the first choice for his congressional district's appointment, but the top applicant withdrew from the academy after only one day. Jackson graduated in June 1846, standing 17th out of 59 graduates. Jackson began his U.S. Army career as a 2nd Lt., First Artillery Regiment. In 1844, Jackson's beloved sister, Laura, married Jonathan Arnold. United States Army officer. 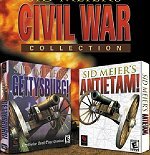 Served in the Mexican War, 1846-1848; stationed at Carlisle Barracks, PA; Ft. Hamilton, NY; Ft. Meade, FL. 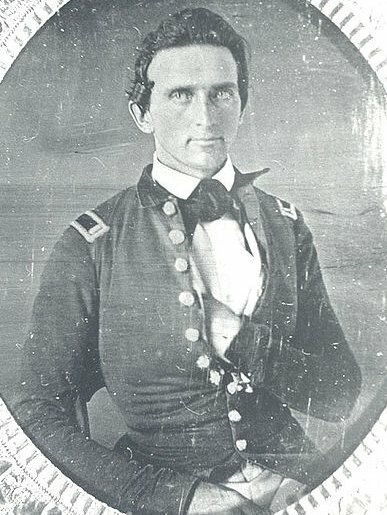 o In the spring of 1851 Jackson was offered and accepted the appointment to teach at the Virginia Military Institute in Lexington, Virginia; he resigned from the army. o Reported for duty at VMI on August 13, 1851. He taught natural and experimental philosophy (related to modern day physics and including physics, astronomy, acoustics, optics, and other scientific courses). o On August 4, 1853, Jackson married Elinor Junkin (1825-1854), daughter of Dr. George Junkin (President of Washington College) and Julia Miller Junkin. o Elinor (Ellie) died in childbirth on October 22, 1854. Their child, a son, was stillborn. o During the summer of 1856 Jackson toured Europe, visiting Belgium, France, Germany, Switzerland, England and Scotland. o On July 16, 1857, Jackson married for the second time. His wife was Mary Anna Morrison (1831-1915), daughter of Robert Hall Morrison and Mary Graham Morrison. Mary Anna's family resided in North Carolina; her father was the retired President of Davidson College. o Mary Anna gave birth to a daughter, Mary Graham, on April 30, 1858; the baby died less than a month later, on May 25.
o In November 1859, Jackson was one of the VMI officers who accompanied a contingent of VMI cadets to Harper's Ferry, where they stood guard at the execution of abolitionist John Brown. o April 21, 1861 - the VMI Corps of Cadets was ordered to Richmond to serve as drillmasters for new army recruits. Jackson was placed in command of the cadets. 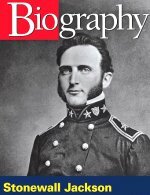 o April 27, 1861 - Gov. 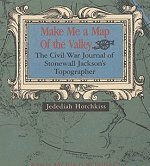 John Letcher ordered Colonel Jackson to take command at Harper's Ferry, where he organized the troops that would soon comprise the famous "Stonewall Brigade" (2nd, 4th, 5th, 27th and 33rd Virginia Infantry Regiments; Rockbridge Artillery; all were from the Shenandoah Valley region of Virginia). 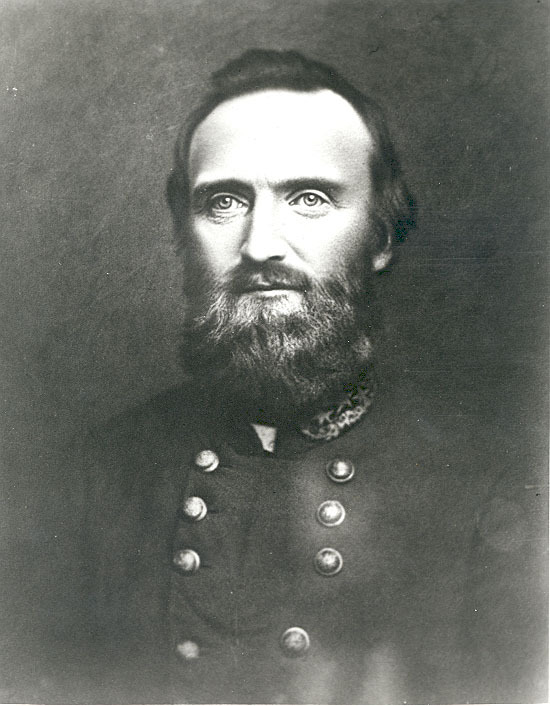 o July 1861 - Promoted to Brigadier General. Battle of 1st Manassas, where he acquired the legendary nickname Stonewall. "Look, there stands Jackson like a stone wall." 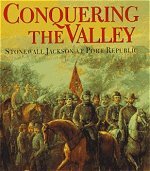 o 1862 May & June - Jackson's brilliant Shenandoah Valley Campaign; victories at Front Royal, Winchester, Cross Keys and Port Republic. Following the successful campaign, Jackson was ordered to join Gen. Lee in the Peninsula (Eastern Virginia). Her mother was Mary Anna Morrison, Jackson's second wife. o 1862 June 15-July 1 - Seven Days Battles. 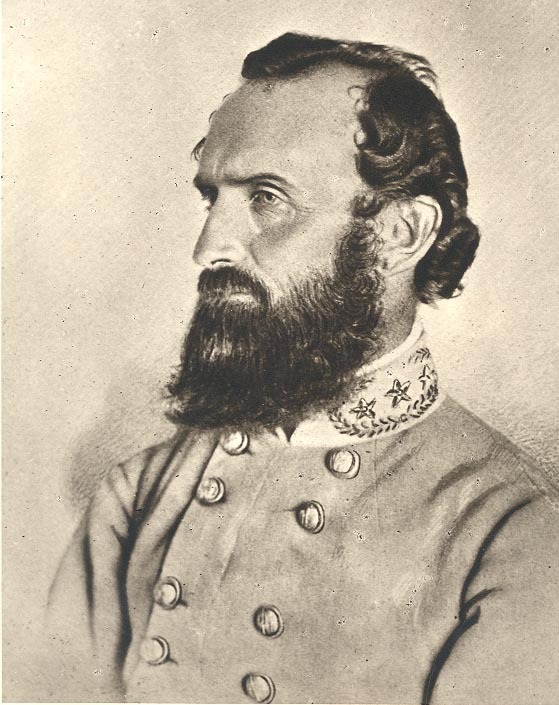 Jackson displayed ineffective leadership which stood in stark contrast to the brilliance of the Shenandoah Valley campaign; the reasons for this uncharacteristic military failure is still debated among Jackson scholars. Returned to the Valley. o 1862 June-September. 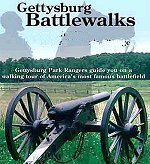 Battles of Cedar Mountain, Clark's Mt., 2nd Manassas (July 21), Antietam (September 17). 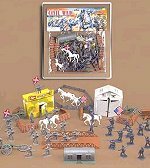 o 1862 October - Lee reorganized his army into two corps. Jackson was promoted to Lt. General and given command of the new Second Corps. Jackson was now in charge of half of Lee's Army of Northern Virginia. o 1862 November - Jackson's daughter, Julia Laura, was born. 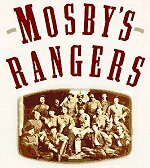 o 1862 December-1863 March - In quarters at Moss Neck, 10 miles south of Fredericksburg. The estate was owned by the Corbin family, who offered their home as winter headquarters. 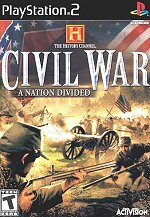 o 1863 May 1 - Battle of Chancellorsville begins. 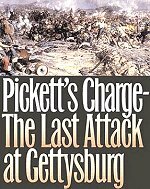 o 1863 May 2, 9:00 p.m. - While reconnoitering with members of his staff, Jackson was accidentally fired upon by his own troops. The 18th North Carolina Infantry Regiment was responsible for the "friendly fire" incident. Jackson was struck by three .57 caliber bullets. He was taken to a field hospital near the battlefield, where his left arm was amputated. o 1863 May 4 - Jackson was moved to a field hospital at the home of Thomas and Mary Chandler, near Guiney Station, approximately 30 miles from the battlefield. 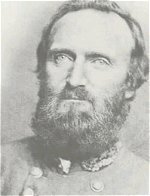 o 1863 May 10 - Jackson died at 3:15 p.m. His last words were "Let us cross over the river and rest under the shade of the trees." o 1863 May 15. Jackson's funeral took place in Lexington, Virginia, the town that was Jackson's home during his years as Professor at VMI. o Mary Anna Morrison Jackson never remarried. She was known as the "Widow of the Confederacy" and lived until 1915.
o The close relationship between Jackson and his sister, Laura Jackson Arnold, was destroyed during the war. Laura was an outspoken Unionist who became estranged from her brother and other members of her family. Federal troops occupied her hometown of Beverly [West] Virginia during most of the war, and Mrs. Arnold cared for Federal wounded in her home. See the Johnson Family Papers for a letter mentioning Laura's wartime reputation. o Julia Jackson was less than one year old when her father died. She married William E. Christian in 1885; she died of typhoid fever in 1889, at age 26. Her children were Julia Jackson Christian (1887-1991), who married Edmund R. Preston; and Thomas Jonathan Jackson Christian (1888-1952), who married three times. 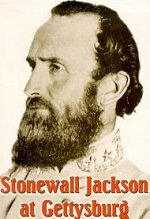 Both of Jackson's grandchildren had several children; thus there are many living descendants of Stonewall Jackson. Vol. XIV. Richmond, Va., January-December. 1886. 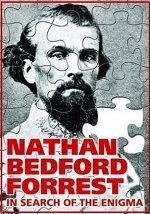 In this imaginative "what if" novel, Stonewall survives his accidental wounding at the Battle of Chancellorsville and now this legendary general leads the advance of Lee's Confederate Army as it invades the North.